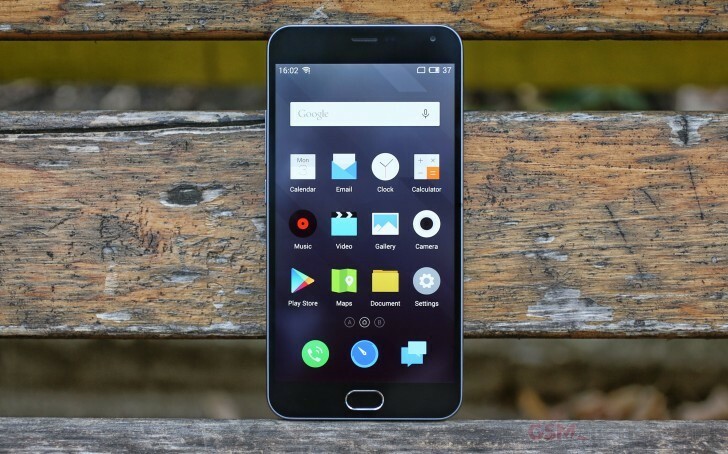 The Meizu m2 note turned out a capable fella even though it came with an inferior chipset compared to its predecessor. The m2 note still relies on a big 5.5" 1080p display and a MediaTek tech, plus it's powered by a beefy 3,100 mAh battery. We've seen the m1 note do reasonably well in our battery life test and we were eager to check how the m2 note stacks against it. The 3G talk test was a blast - the m2 note lasted a notch below 21 hours, which is a noticeable improvement over the m1 note. The web browsing performance turned out lesser though - the m2 note packed enough juice to run our dedicated web script for almost 10 hours. This is 3 hours less than the m1 note, but still a very good mark. The m2 note Achilles's heel turned out the video playback - its battery turned out enough for just 6 and a half hours of video playback, which is way below average and a real disappointment for such a beautiful screen. The m1 note did twice as good here. The Meizu m2 note did a hair better than the m1 note when it comes to stand-by endurance. Whether you are using it with one or two SIM cards, you'll be able to last about 15 days on standby. Indeed the m2 note posted very solid numbers in the 3G call test and web browser endurance, but did rather poorly when it comes to video playback. The m2 note slightly improves the average standby performance of its predecessor, which boosts the overall endurance score up to 69 hours. This means the Meizu m2 note will last two and a half days and then some, if you do an hour each of calling, web browsing and video playback daily. The m2 note offers three battery modes - power-saving (four CPU cores only), balanced (six CPU cores) and performance (all eight CPU cores). We tested it in Performance mode, so you may be able to squeeze even more from the battery when the m2 note is running in Power-Saving mode.